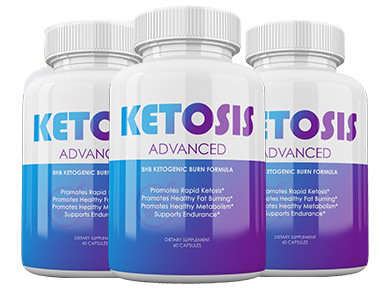 Ketosis is a normal physiological process that occurs when there is not enough energy sourced from glucose in the body. This can occur when a person does not have access to food, during fasting or on a very low carbohydrate diet. The body requires energy to function so it utilizes fat stores and this creates a build-up of acids in the body known as ketones. Because the body is burning it's fat stores, this results in rapid weight loss. A ketone is an organic compound made up of carbon, oxygen & hydrogen that is basically an alternate fuel source for the body. These are produced by the liver from the body's fat stores when the usual source of energy - glucose - is in short supply. When a person eats, there is usually some excess that cannot be used immediately by the body as fuel. Some of it is stored in the liver, as glycogen, and the rest is stored in various parts of the body as fat. There is, unfortunately, no limit to the amount of fat that can be stored. This mechanism of energy storage is actually a survival mechanism. In the wild, food is not always readily available so there is a mechanism that the body can use to store the excess energy, for later use. So, in this way, having fat is necessary for survival. When food is not available that fat is converted to energy by the liver. You can see that the liver plays a very important role in both fat storage and retrieval. Unfortunately, this mechanism has become corrupted, so to speak. In modern western society food is too easily available and, for various reasons, is over consumed. There is not often any time when food is not available and so the excess is rarely converted to energy, without conscious effort on that person's part. 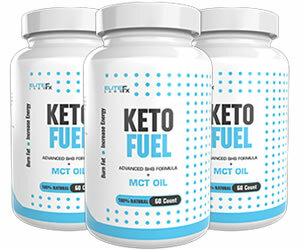 The weight loss industry have tried to make this process of burning off excess fat easier and have produced keto pills. These pills work by supplying the body with ketones, namely beta-hydroxybutyrate ketone. This is the only ketone that is chemically stable and that is why it is used. These pills increase blood ketone levels which helps the body to switch over into ketosis as an energy source. They can also be used to assist a person who is altering their diet to a more ketogenic diet to give their ketones a "kick-start". To be realistic, keto pills are unlikely to work if a person keeps scarfing down refined carbohydrates. Some change in diet could be expected to be required for keto pills to work at all. We do not sell any of the products listed on this website. We only review the products and provide associated information.